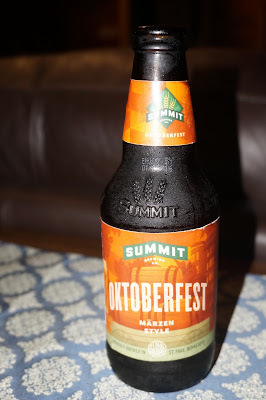 Summit Oktoberfest - AoM: Beer et al. While it's great to try new beers, its even better when the beer I try is local*, thanks Jack! Brewed in the classic Märzen style with Northern Brewer hops from Germany. Rich, toffee malt flavors up front with a clean hop finish as crisp as the autumn air. Unfortunately, like the fall colors, this seasonal beer is gone before you know it. Now available in 12oz cans!